We began as one of the very first official Burning Man Regional Festivals in the world. Since then we have evolved into a dynamic, year-round, active community whose mission is to ignite a sustainable culture of creativity and self-expression! 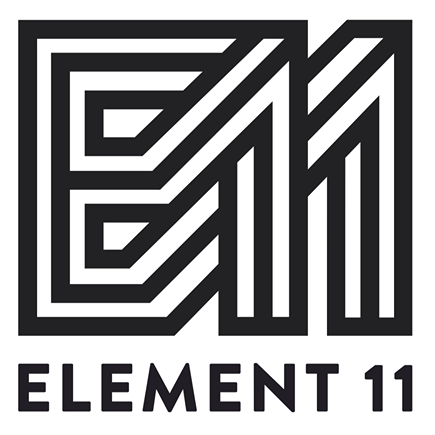 To support our mission, our community has formed a 100% volunteer supported 501(c)3 Non-Profit Organization known as Element 11, the same name as our annual festival. We are committed to not only producing a world-class festival the second weekend of July, we are also committed to creating year-round fundraising opportunities, community training programs, social events and service projects. All designed to support and inspire our community of artists and to make a positive difference in the world. Our Board of Directors and community leaders are committed to continue to support the evolution of the Utah Burning Man community of artists. We see art in all forms, in all ways, in all people and in life itself. We provide a canvas for our community to come together. To play, dance, evolve, create & ignite! Our community’s core culture is built on the values reflected in The 10 Principles established by the Burning Man Organization. Today, Burning Man has become more than an annual event, it has become a worldwide culture. The culture is defined as a way of life lived consistent with The 10 Principles. These principles have arisen because of the commitment the Burning Man Organization has for the sustainability of their annual festival. The 10 Principles inspire and guide people all over the world to live in a way that creates sustainability in their lives, families, communities and the world. Element 11 is a unique community. Together we create a vibrant, important and strong subculture within Utah, a very conservative state. We consider ourselves a tight-knit community and family. We are bound together by love for one another, our community, our mission and for life. We invite you to participate with us in any way that inspires you. We also encourage you explore and incorporate “The 10 Principles” in your life, your communities and your world. #1- Radical Inclusion: Anyone may be a part of Burning Man. We welcome and respect the stranger. No prerequisites exist for participation in our community. #2- Gifting: Burning Man is devoted to acts of gift giving. The value of a gift is unconditional. Gifting does not contemplate a return or an exchange for something of equal value. #3- Decommodification: In order to preserve the spirit of gifting, our community seeks to create social environments that are unmediated by commercial sponsorships, transactions, or advertising. We stand ready to protect our culture from such exploitation. We resist the substitution of consumption for participatory experience. #4- Radical Self-reliance: Burning Man encourages the individual to discover, exercise and rely on his or her inner resources. #5- Radical Self-expression: Radical self-expression arises from the unique gifts of the individual. No one other than the individual or a collaborating group can determine its content. It is offered as a gift to others. In this spirit, the giver should respect the rights and liberties of the recipient. #6- Communal Effort: Our community values creative cooperation and collaboration. We strive to produce, promote, and protect social networks, public spaces, works of art, and methods of communication that support such interaction. #7- Civic Responsibility: We value civil society. Community members who organize events should assume responsibility for public welfare and endeavor to communicate civic responsibilities to participants. They must also assume responsibility for conducting events in accordance with local, state and federal laws. #8- Leaving No Trace: Our community respects the environment. We are committed to leaving no physical trace of our activities wherever we gather. We clean up after ourselves and endeavor, whenever possible, to leave such places in a better state than when we found them. #9- Participation: Our community is committed to a radically participatory ethic. We believe that transformative change, whether in the individual or in society, can occur only through the medium of deeply personal participation. We achieve being through doing. Everyone is invited to work. Everyone is invited to play. We make the world real through actions that open the heart. #10- Immediacy: Immediate experience is, in many ways, the most important touchstone of value in our culture. We seek to overcome barriers that stand between us and a recognition of our inner selves, the reality of those around us, participation in society, and contact with a natural world exceeding human powers. No idea can substitute for this experience.